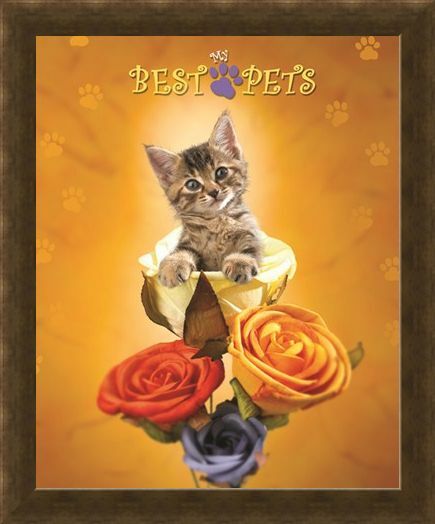 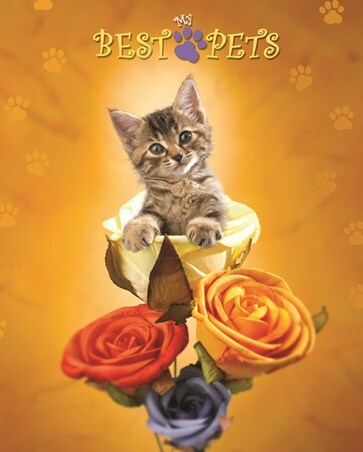 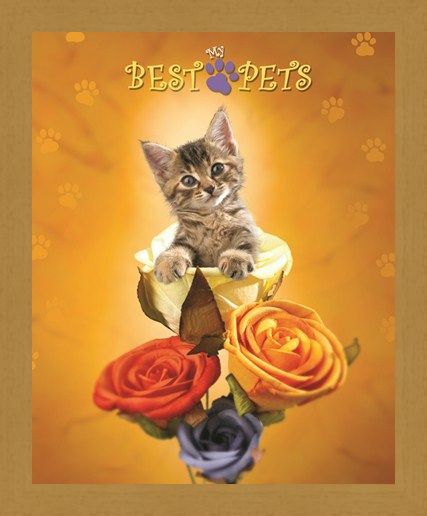 Mini Animal Poster: If you simply love everything cute, cuddly and adorable and have an empty space on your wall, then why not fill it with this gorgeous mini poster of this cute kitten sitting amongst the roses. 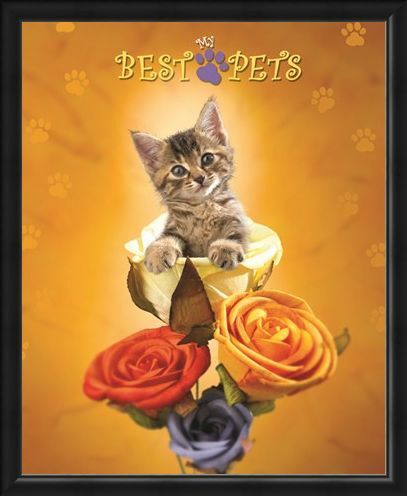 With a bright yellow background and beautiful flowers to look at, no wonder this kitty looks so content! 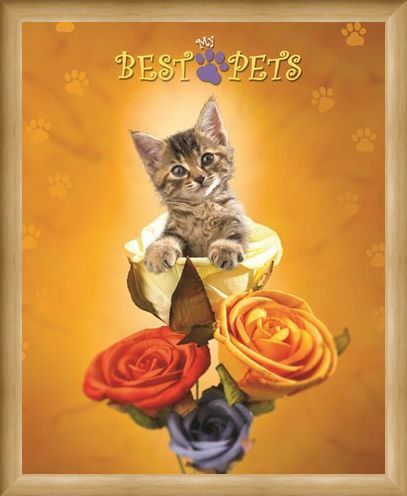 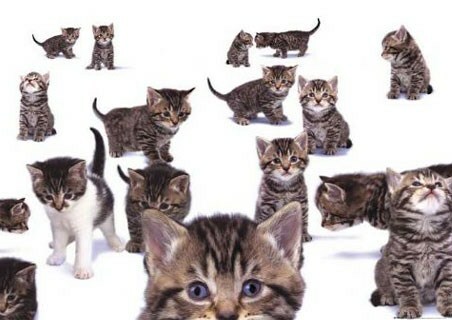 So if you love cats and think this wonderful photography poster is just purrrfect, then why not add some feline cuteness to your room and choose this poster to brighten up your wall. 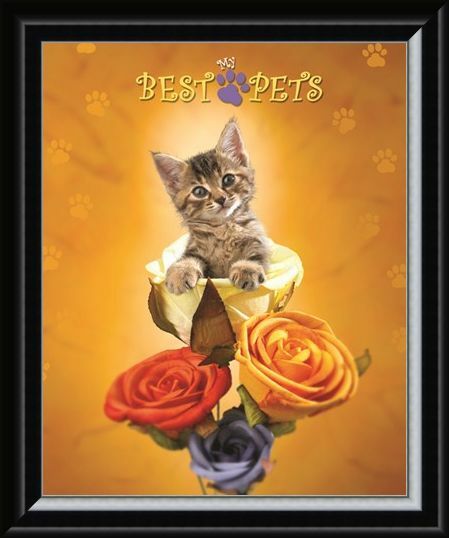 High quality, framed Cat amongst the Roses, My Best Pets mini poster with a bespoke frame by our custom framing service.